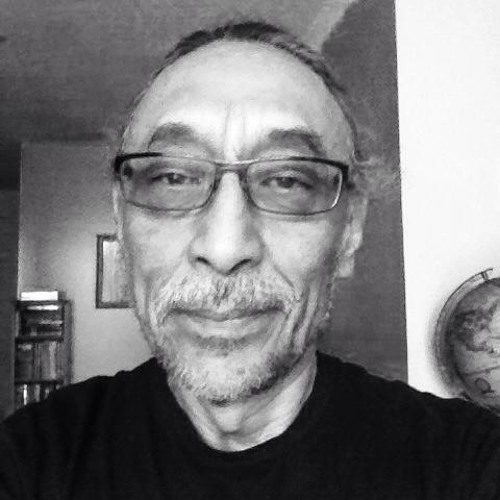 Solomon Ratt Interview On Woods Cree Stories 2014 - 10 - 29 CBC Morning Edition With Sheila Coles What I heard from nitôtêm... Hey, mitho-kîkisîpâyâw. Good morning to you. Yes, I do. Hard to learn. Ahhh, I been working in the language since n…early 80s, shall we be vague? Yes. Yeah. My parents. My parents never spoke a word of English. They did not know the language. So they spoke Cree, nothing but Cree to me. English? Yeah, Cree is my first language. When I got taken to the residential school, that’s when I started, that was when… 6-years old, yeh. I was 6-years old. They were severe, ‘cause we had no, no way of knowing what we were being told in English, nob...no translators or anything like that. But I was lucky enough that we were allowed, where I was, we were allowed to talk Cree, so there was a lot of people who spoke Cree around the residential school where we were. And… Not for everyone, and for a lot a people, who were just really abused for speaking the language. But, it wasn’t the case for me personally. Yeah, ahh, I fell in love with the, the stories from waay, when I was a little child, my mother and father would tell me stories. ‘Specially my mother, she’d tell me the traditional stories. And ahh, she told them in the evening before we went to bed. And all my brothers and sisters would fall asleep, I’ll still be awake just waiting for the next stories. I had to be forcefully told to go to sleep. Yes, I think so, ahhh, just the one story is a traditional story that I heard from my mother. And ahhh, so. The story is a bit risqué. It was in Cree so. Oh yeah, okay, I don’t know if you wanna do this, it’s quite long too, so, the time limit will… Okay. Alright, okay. Okay, for you. I will tell it. In Cree or in English? In English? Right, I imagine so. Anyway, it’s the story of Wîsahkîcâhk, our traditional cultural hero in our languages, and coming upon, upon some Startlers, some baby grouse along the way. Okay. Well, once upon a time Wîsahkîcâhk was walking along when he came upon some baby grouse, and he says, whoa, nisîmitik, ho, younger siblings, tânisi kitisiyihkâsowi? What is your name? And the little Startlers look up at him and says, Ahhh, well, our parents told us that we’re not supposed to tell our names to just strangers. And Wîsahkîcâhk says, oh come on younger brothers, you can tell us, you can tell me, I’m, you know me, I got, I got, lots of names, I’m older brother and Wîsahkîcâhk, and I’m sure you have other names too. Well, our parents told us not to tell our names to just strangers. Awww, hâ, come on nisîmitik, âstam nisîmitik, you will…tell me your name because I’ve told you mine. It’s only fair you tell me your name. Oh okay, so well, the little girl said, Well, okoskohowîsak otisi kâ-itikinân. Well, we are called Startlers, and Wîsahkîcâhk said ha! Startlers, you guys are too small to startle anybody, and immediately he takes down his breeches and defecates on the Startlers’ heads. Ohhh, the little Startler’s really, really smelly, and Wîsahkîcâhk walks away and he’s laughing…ha, ha, ha, Startlers, ahhh, they’re too small to be Startlers. What in the world do they think? They call themselves Startlers and so off he goes, on his merry way. Well, the parents come upon, come home to the nest, and they see their little babies all covered in bleep, and they say, oohh, who did this to you? Wîsahkîcâhk. Wîsahkîcâhk did this to us. He convinced us to tell him our secret name. And then when we diddly …and they were crying, and he immediately, ah, defecated on our little heads. And the parents said, oohh, just wait, we will wait for Wîsahkîcâhk where he crosses the river and we’ll scare him and get our revenge. So Wîsahkîcâhk’s still laughing as he make comes upon his merry way and he goes ha, hâ, hâ, and he goes Startlers, âhh, they’re just too small to be Startlers and, he goes lying, he comes upon a river, and so he takes a step back and he runs and he runs toward the river, this, almost runs to the river, and he stops. kêkâc, almost. And he, he doesn’t jump, but when he stopped, there’s one little Startler flying out of the bush. And then, he steps back again, and he takes another running lam…leap, and just as he leaped, all the Startlers, and all the rest of the birds of the neighbourhood flew out of the bushes and scared him, and he fell into the water. And that was the story of the Startlers. Oh yes, for one thing, protect your name, otherwise somebody will disrespect you. And Wîsahkîcâhk uses an honourific, nisîmitik, which means honourable young siblings. And when somebody has a TIK ending to the form of address, that, that somebody will sh.., that indicates that you’re going, to show respect to you. I…I did not, I was not afraid of him. I looked forward to Wîsahkîcâhk stories, guess we started, well soon as the first snow fall, and we continued until we finished all the whole trickster cycle, all the Wîsahkîcâhk cycle, and from there we took off for the other stories that go with it. And so I look forward to Wîsahkîcâhk stories. (5 knocks…knocks on wood?) Well, the introduction has a good explanation of how stories operated back in the traditional days when we spoke no English. Because the traditional stories taught you about respect, they taught ya about parental responsibilities, and they taught you other things on how to live with the world around you. And that’s now, those are all in the language, in, that’s part of the story. This was our main education system, before school. That’s the stories. And lotsa humour in the stories. It is central to the, ah, Aboriginal story-telling, there are lots of other, there’s lotsa humour in Aboriginal story-telling. Aah, well, ah, a lot of people have enjoyed the stories, and ahh, I sent a copy of it to my grandchildren in Prince Albert and they absolutely love the stories, and ahh, yeah so, it’s really neat, yeah, so my grandchildren really love the stories. Glad you enjoyed it. I hope they didn’t bleep out the, the naughty bits. Thank you, thank you for having me.